Welcome to the Novmeber Newsletter. 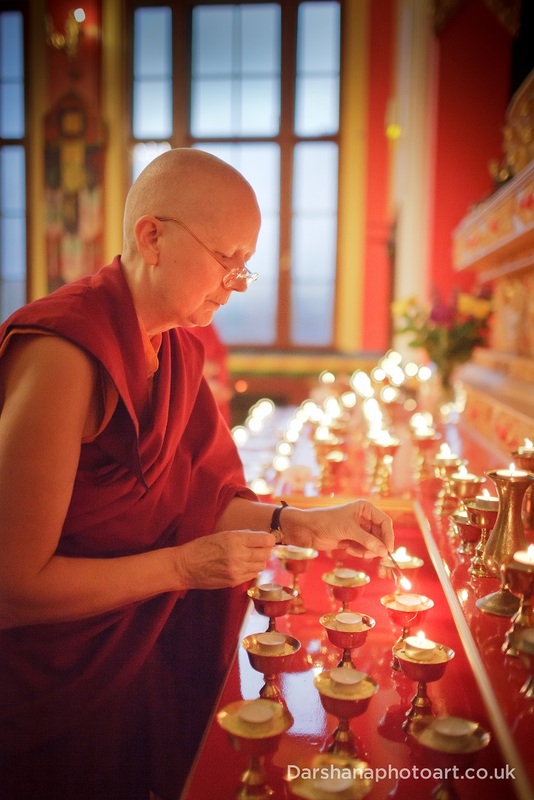 Kagyu Monlam, February 2016 - Lama Zangmo is planning to take a group of Kagyu Samye Dzong London pilgrims to the Kagyu Monlam for His Holiness Karmapa's teachings in Feb 2016. Anyone interested in joining the group, especially those who have never been to the Monlam before, should contact the centre by Sunday 8th Nov.
Lhabab Duchen is the festival celebrating the Buddha's descent from the Tushita heaven. Join the Samye Dzong Sangha from 7.00-9.00 pm on Tuesday 3rd November for the recitation of prayers on this auspicious date. Offers of flowers and food for the shrine are welcome. Join us for a Shinay Retreat with the KSDL Sangha on the weekend of the 7th-8th November. Opportunity to cook for the sangha on Tuesdays during their weekly retreat day. If you would like to volunteer, please contact the office. Our Tibetan Tearoom is looking for regular weekly helpers. Whether you have experience or not, if you are interested in coming to help once a week, do get in touch with the office. You'll learn how to make great cappuccinos! Gardeners alert! We have been given a different allotment in a sunnier position (smiley face) and Lydia would appreciate some help clearing the site. If anyone would relish contact us as soon as possible. Thank you. 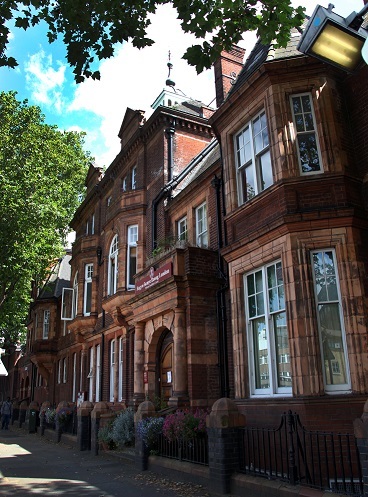 Short term accommodation available - there are some rooms available at Manor Place between now and the end of December. If you are interested, please contact the office at Spa Road. In October we were very privileged to receive Khenpo Sodargye Rinpoche who is one of the main teachers of the renowned Larung Gar Five Sciences Buddhist Academy, the largest Buddhist academy of its kind in the world. He trained closely with His Holiness Jigme Phuntsok Rinpoche, one of the great luminairies of his generation. While at the Centre, Rinpoche gave both teachings and empowerments. A slideshow of the weekend can be seen in the Gallery on our website. Many people took the empowerments of the 1000 Buddhas of the Fortunate Kalpa, as well as Chenrezig empowerment and received teachings on the Confession to the 35 Buddhas and on Bodhicitta. The empowerments were especially busy with around 400 people attending. We were also fortunate to have Lama Yeshe Rinpoche with us the whole time, as he came down to welcome Khenpo-la and receive the empowerments. 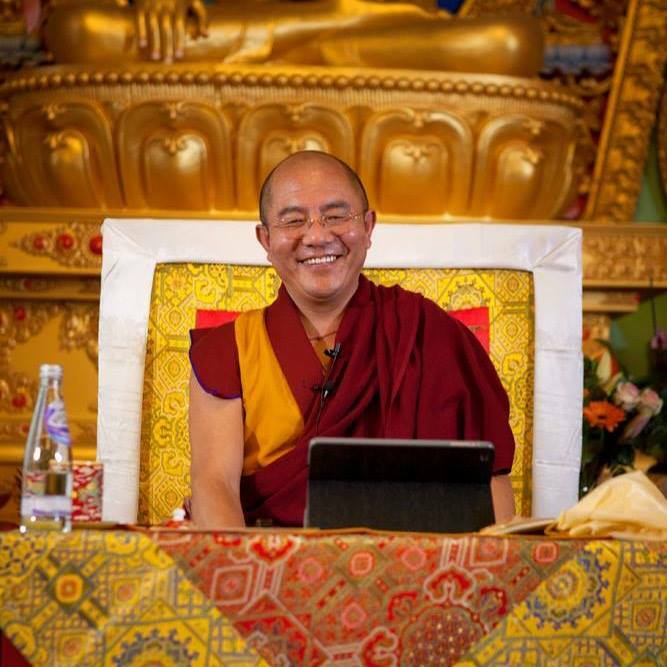 They seemed to make a very positive connection, and Khenpo-la commented on Lama Yeshe being a very joyful person and that a true practitioner is someone who stays joyful whatever happens. please follow this link which has an invitation for your input via an online survey. A Celebration of Life Through Reflection on Death. Last year's event was a huge success and we would like to welcome you all again this year. There will be information stalls, live poetry and film and a fascinating photography exhibition looking at different funeral ceremonies, practice and ritual. The day will also feature a Death Café. There will also be a chance to say prayers for those who have died. Please bring a photograph of the deceased, which is then placed on the shrine. You are welcome to come along for all or part of the day, which is organised by the Samye Dzong London Bardo Group. It is open to all the family and is free. Although our old centre at Manor Place is now closed to the public, our work there is not yet done. We have to leave the building vacant by early January - ie, with everything cleared out - which means we still have a lot of sorting out to do, as well as packing and moving all the stuff in the building during November and December. To get all this done in time we could really do with some help. While we do have two specific volunteer weekends coming up in December, help would be welcome during most weekends as well as during the daytime on Wednesdays, Thursdays and Fridays. If you are able to help us in any way, please get in touch with the office at Spa Road either by email, or by phoning us on 020-3327 1650. We may organise a jumble sale of the things we cannot take along, so keep an eye out for more info about that if you are interested in aquiring a bit of history from Manor Place. Over four Thursday evenings (from 12th November) Lama Zangmo will teach on the Four Brahma Viharas, the four highest emotions one may "live in" and "live by": loving kindness, compassion, sympathetic joy and equanimity. 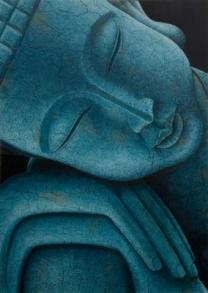 "The attitude of a bodhisattva is to want to help all beings find happiness and to relieve them of all their suffering. 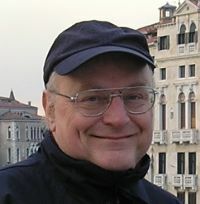 The bodhisattva doesn't believe there are some beings who want happiness and others who don't. The bodhisattva doesn't think that there are some who need to be freed from suffering and others who don't need to be freed from suffering. He or she realizes that absolutely all beings need to be helped to attain happiness and all beings need to be liberated from suffering. So the concern is for each and every being. In his commentaries, Patrul Rinpoche stressed the need for meditating on impartiality from the beginning of Buddhist practice. Normally, we meditate on the four immeasurables as they appear in the prayers which is in the order of limitless love, limitless compassion, limitless joy, and limitless impartiality. Patrul Rinpoche stresses the need for meditating on impartiality first because this removes the danger of having partial or biased love, partial or biased compassion. When we begin on the path, there is a strong tendency to have stronger love towards those we like and lesser love towards those we don't like. We meditate first to cultivate impartiality, then we go on to meditate on great love, then on great compassion, and finally on bodhicitta. The first immeasurable, impartiality, means not being influenced by attachment or aggression. Great love means wanting everyone to attain happiness. Great compassion means wanting to free everyone from suffering. Bodhicitta, however, is more subtle as it is the wish to attain Buddhahood to help all beings. Its very nature is a loving and compassionate mind." This course is suitable for anyone who wants to deepen their understanding of the Buddhist teachings. The Four Highest Emotions with Lama Zangmo runs over four Thursday evenings from 12th November to 3rd December, 7.00 - 8.30 pm. You can book your place via the course page on the website. Donations can be made by clicking on the PayPal button at the bottom of the page. "Why is it so difficult to do meditation practice? Is it because it's too difficult, or because it's too easy? I think the answer is too easy. That's why we don't know how to do it." His Holiness the 17th Karmapa. This course will be illustrated with accounts of the life of the Buddha, the perfect example, and the noble eightfold path - the perfect way to be. Practical meditative exercises will be shared and there will be silent time to practise together. We may have the intention to meditate but it is easy to lose track and forget to practise. So we need to cultivate some kind of "marriage" of intention and attention so that we do not get lost in thought all the time. We are so often caught up either in our worries and anxieties, or we are overly concerned about other peoples' lives. It's no use having a prescription framed on the wall and never using it. We must "walk the walk" in order to practise a "mindful and kind" life. We can't change other people but we can wake up our own potential and go on to creatively influence the world around us. Everything we were ever looking for can be found within - as long as we go deep enough to find the truth and know where to look. Motivation and Meditation runs over the weekend of 5th - 6th December from 10.00 am - 4.00 pm. You can book your place via the course page on the website. Donations can be made by clicking on the PayPal button at the bottom of the page. This Buddhist festival celebrates the Buddha's descent from the Tushita heaven. Join the Kagyu Samye Dzong Sangha for the recitation of prayers on this auspicious, merit-multiplying date. Offerings of flowers and food for the shrine are welcome. 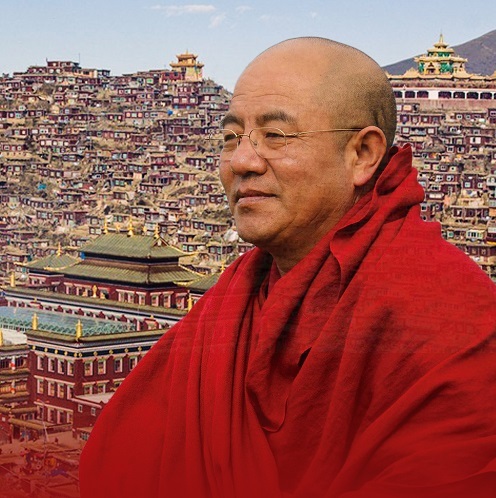 Lama Zangmo will teach on the Four Brahma Viharas, the four highest emotions one may "live in" and "live by": loving kindness, compassion, sympathetic joy and equanimity. In essence, meditation is simply the practice of paying attention to what we are doing while we are doing it, whatever this may be. In the Buddhist tradition, this type of attention is called mindfulness. Help needed at Manor Place! Our centre in Elephant and Castle is closing down, so it's all hands on deck for the big clear out. Please contact the Spa Road Centre if you are able to come and help. The Centre will close after the Chenrezig Puja on Sunday 20th December and will reopen on Saturday 9th January. We wish everybody a very happy holiday season.